In our alumni series this month, we put the spotlight on electric vehicle company Gayam Motor Works (GMW). Its CEO Raja Gayam and COO Sri Harsha Bavirsetty are both IIIT-H alumni. 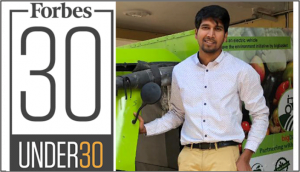 Its CTO Rahul Gayam was on the 2018 edition of Forbes 30 Under 30 and was recently selected among 10 others for the Summit Mercedes-Benz EQ Global Fellowship. Read on to know about their early story, growth and advice to budding entrepreneurs. Converting his father’s bus-building unit into an auto-rickshaw manufacturing unit was one of the first things Raja Gayam, CEO did in 2010. Very soon, the company began exporting more than 4000 petrol and CNG autos to Bangladesh, Sri Lanka, Ethiopia among other Asian and African markets. Meanwhile his younger brother, Rahul Gayam was working in the areas of materials for supercapacitors and batteries in electrical vehicles (EVs) as part of his PhD research at Hyderabad Central University. 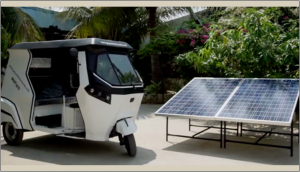 Rahul went on to work for an electric truck manufacturing company in the US before collaborating with Raja to pursue their electric vehicle dream. The entry of Sri Harsha Bavirsetty was fortuitous too for the two brothers, with the former being another IIIT-H alumni and Raja’s junior. “Both Raja and I knew each other very well from our IIIT-H days as we were Felicity co-ordinators of our respective batches,” says Sri Harsha. He began his professional career as an early employee with CIE’s very first incubated startup SETU (founded by Prof. Vasudeva Varma and Dr. Prasad Pingali). It was after a stint as founder of a start-up in the consumer internet space that Sri Harsha teamed up with the Gayam brothers and formally joined the company as a Chief Operating Officer (COO). Speaking on the motivation behind getting into the EV market, Sri Harsha cites statistics from Petroleum Conservation Research that reveal transportation comprises 51% of pollution in India, and 75-80% in urban areas. 22 of 50 urban areas with worst air pollution are in India, with New Delhi hitting the headlines for being the most polluted city on Earth. More than 10 lakh deaths in India are caused due to air pollution annually. “The need for automobiles is growing rapidly. We are expected to have around 400Mn vehicles on the road by 2030. Electric vehicles produce zero direct emissions, which specifically helps improve air quality in urban areas,” says Sri Harsha. He continues saying that India is the biggest producer and exporter of auto-rickshaws across the globe, with as many as 45Mn autorickshaw rides being taken daily by Indian commuters. “While large automobile companies are focusing on electric cars and scooters, we saw a huge opportunity in the electric three-wheeler space”. The company’s first major milestone came when they converted a Tata Nano completely into a plug-in electric car. It was after a rigorous testing of their indigenous electric powertrain for 20,000km on a Nano that they adopted it for their three-wheelers. After 4½ years of R&D, they launched India’s first electric three-wheeler powered by Li-Ion battery technology in 2015. 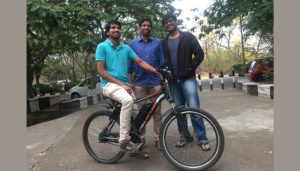 They began in the three-wheeler segment with ‘GMW SmartAuto’ powered by the Li-ion battery “as powerful as a diesel auto-rickshaw” going up to 110 Kms per charge, but also developed a smart electric bicycle called LIMITLESS E-Bike. Offering the convenience of a bicycle alongside the comfort of a scooter, this e-bike can be fully charged within 2 hours and can run upto 65 kms per charge. Lead-based batteries have long been the standard way of producing batteries, with a low-cost of production being the driving factor. “But the real cost of owning a lithium battery is far lower when you factor in performance and the battery’s better longevity. In short, Li-Ion batteries are lighter, reliable and efficient,” explains Sri Harsha. GMW currently sells SmartAutos to B2B and B2G markets. 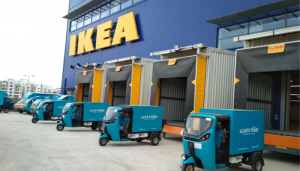 While companies such as BigBasket, IKEA, Gati, Delhivery and Flipkart are using their e-autos for last mile deliveries, the Governments of AP and Telangana are using them for waste pickup and disposal applications. Speaking ruefully of the lack in charging infrastructure required for penetration of electric vehicles in the retail market, Sri Harsha however is quick to point out that they have solved the real-estate challenge by setting up the battery charging/swapping infrastructure at commercial and government hubs. “All our existing B2B customers have now prioritized the NCR region over other cities to adopt our e-autos. BigBasket has already started their operations in Gurgaon with our vehicles; Flipkart, Gati and Delhivery are in the immediate pipeline,” says Sri Harsha. 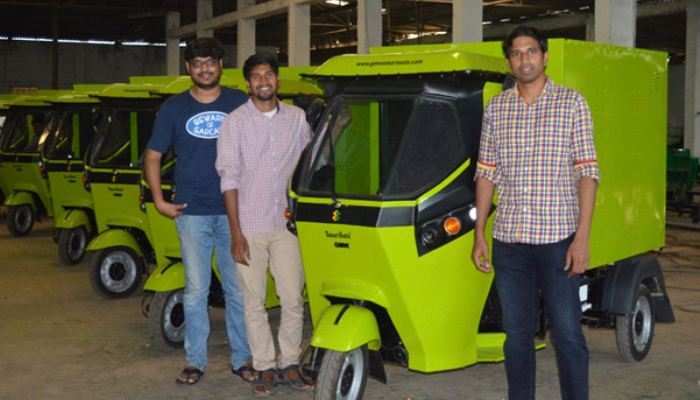 He goes on to add that they have sold one of their e-autos to IIIT-H “The blue colored cargo auto roaming around in the campus is our basic variant,” he says. GMW’s vehicles are connected to mobile and cloud through IoT technology. This enables real-time battery health monitoring, vehicle diagnostics and fleet management modules to their clients through mobile and web dashboards. A bootstrapped company until now, GMW has opened up their Series A to raise a USD 15-20Mn. Since most of the EVs are either used for public transportation or last mile connectivity, charging stations for this (EV) three-wheeler market isn’t viable. Long charging times during peak hours and lack of space at homes to park and charge the vehicle overnight, are other constraints. “Upon raising the required funding, we will create battery swapping infrastructure so that our passenger drivers can leverage this network to refuel their vehicles on a pay per use basis,” says Sri Harsha. With the intention of entering the domestic retail market, they have begun conducting pilot studies with passenger vehicles in the outskirts of Hyderabad. “The feedback from drivers is very encouraging. We will soon make necessary partnerships to introduce our passenger vehicles into the market,” says Sri Harsha. He also reveals that the company has been identified by the Asian Development Bank as a partner to introduce electric three-wheelers for public transportation in Philippines, Afghanistan and Nepal. With primary exports of three-wheelers to Bangladesh, Sri Lanka, Philippines, Ethiopia, and Lebanon, new orders will be soon dispatched to Peru and and the UK markets as well. 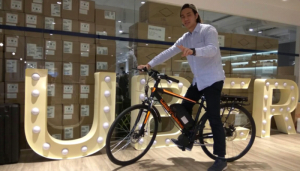 Their e-bikes have been exported to Singapore, Hong Kong and USA for food delivery pilots for UberEATS. The bikes are also being tested by the Police in Central America for patrolling applications. As a CIE-incubated startup, one of the greatest benefits GMW enjoys as part of the ecosystem is the ability to tap into its strong network of mentors and partners. 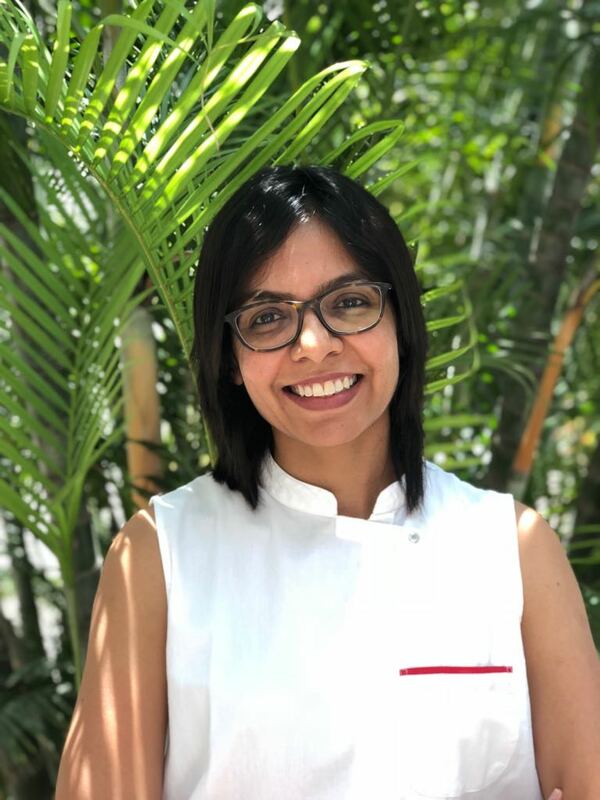 “We have partnered with multiple startups in CIE to meet our requirements — a 3D printing startup for prototyping, a video production startup for our marketing collateral and a software services startup for our fleet tracking software. I can say with certainty that our current software team wouldn’t have been in place if we had just been out there on our own,” says Sri Harsha.